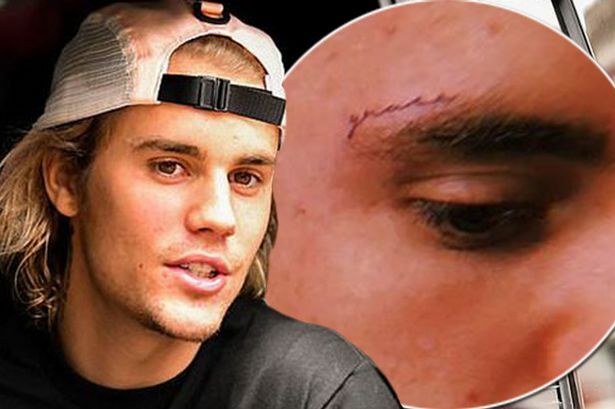 Justin Bieber's face tattoo has finally been revealed in full by the artist behind it. Celebrity tattoo artist JonBoy showed off the design on Instagram, which was completed in November but kept hidden until now. Sharing a candid snap to Instagram, JonBoy revealed Justin had the word 'Grace' tattooed above his right eyebrow. It was previously reported that Justin, who is no stranger to a tattoo, underwent the daring inking as a tribute to his wife Hailey Baldwin. Canadian pop star Justin, 24, tied the knot with 21-year-old Hailey in secret back in September. Justin's friend and celebrity tattoo artist Bang Bang, real name Keith McCurdy, revealed the chart-topper and Hailey got his and hers inkings back in November. He told Page Six: "They each got a tattoo. Justin's tattoo is on his face, and I haven't seen any photos of it -- so he's doing a good job of laying low.